services to students throughout Southwest Florida. 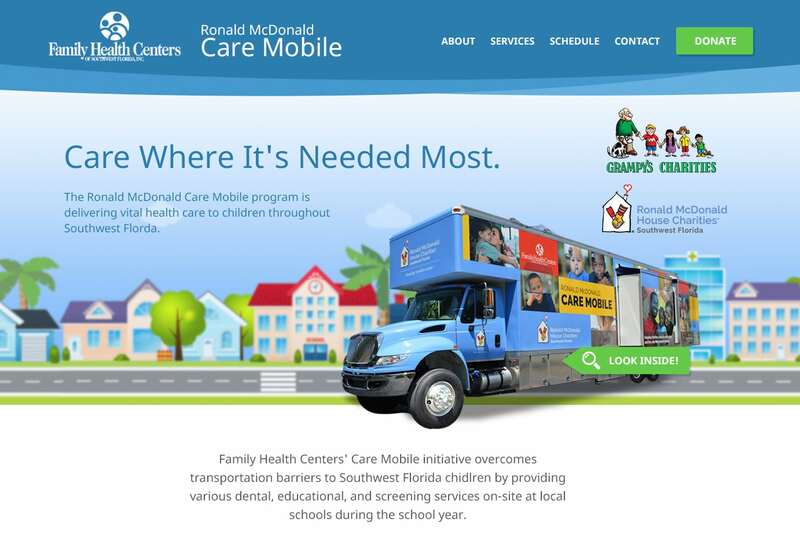 The Ronald McDonald Care Mobile in Southwest Florida provides students throughout the area with vital health care services, and ensures that the underserved are not forgotten. Children all over the country are suffering from the epidemic of tooth decay, and the Care Mobile’s mission is to provide dental services and education to students to help prevent dental issues, now and in the future. 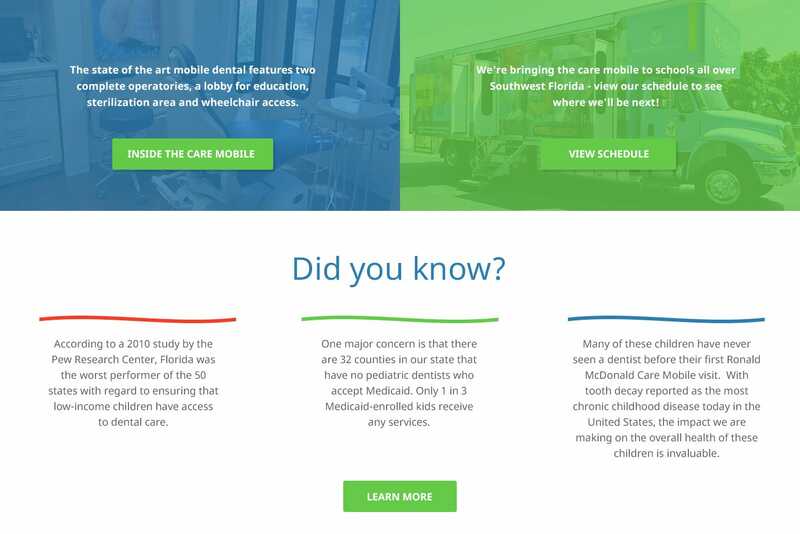 Family Health Centers of Southwest Florida are responsible for the organization of the Care Mobile, and are planning the addition of vision and autism screenings soon. 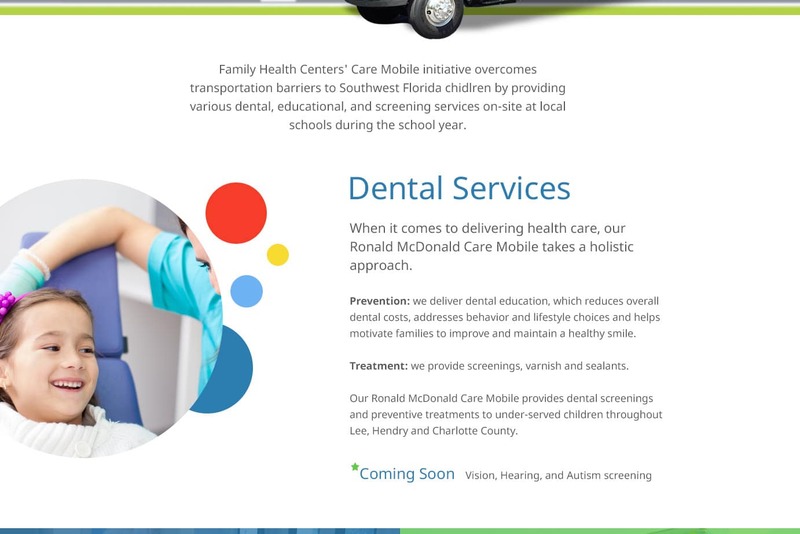 We were hired to create the website for the Care Mobile to promote its purpose and services to parents and students of Fort Myers, Naples and beyond. Our Naples web design team created a visually engaging website that’s easy to use, modern and welcoming. The Care Mobile can accept donations online, and also presents its weekly school schedule so students know where the Care Mobile is each week. Visit CareMobile.org to learn more about this important program.